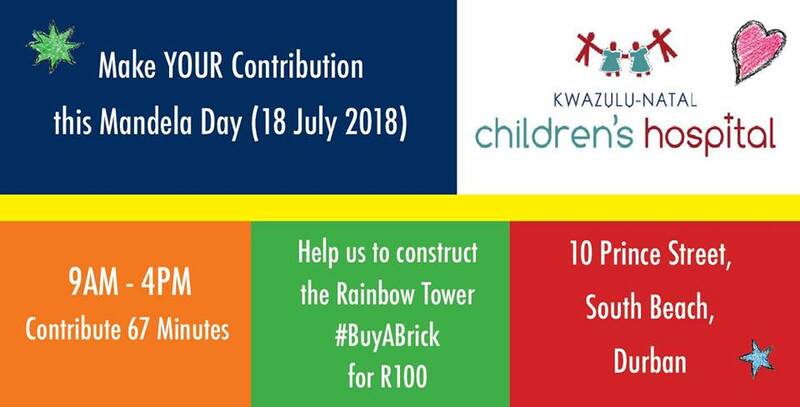 Join us at the KZN Children’s Hospital (10 Prince Street, South Beach, Durban) this Mandela Day, 18 July 2018 from 9h00 – 16h00. We appreciate your support and look forward to meeting you! of section 10(1)(cN) with SARS (South African Revenue Service) and is a Not-for-Profit organisation. Copyright KZN Children’s Hospital © 2018. All Rights Reserved. Developed by Website Brothers.